(TibetanReview.net, Jul19, 2016) – Nine herders in remote western Tibetan prefecture of Ngari (Chinese: Ali) were reported to have died after being buried by an avalanche which occurred on Jul 17 morning. 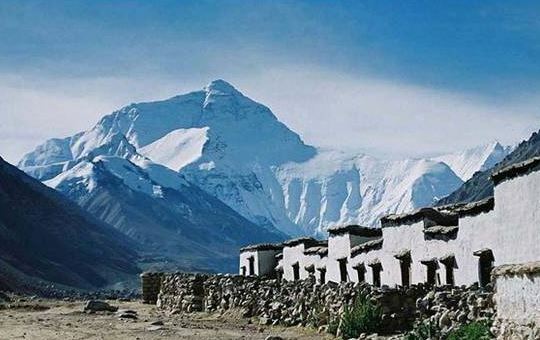 All were residents of Dungru Village in the prefecture’s Rutog (or Ritu, Tibetan: Ruthog) County, reported China’s official Xinhua news agency Jul 18. The report cited the prefectural government as saying the avalanche had shifted snow up to eight meters deep on to grazing land and the nine were confirmed dead the next day. However, according to China’s official Chinadaily.com.cn Jul 19, the nine were unaccounted for but apparently presumed dead. It cited officials as saying six tents of nomadic families, along with animals and other property were buried in the massive slide. The report added that nearby villagers had been moved to safety. According to the Xinhua report, more than 350 sheep and 110 yaks had also got buried under the snow. The report also cited local sources as saying cracks had since appeared on the surrounding glaciers, raising fears of more avalanches occurring. This report said two households had been evacuated. Ruthog County has an average elevation of 4,500 meters (about 14,800 feet).